NewVoiceMedia is a leading provider of cloud contact center and inside sales software for Salesforce. It enables sales and service agents to place and receive phone calls from within the Salesforce or Desk.com UI. ContactWorld, from NewVoiceMedia is a global, cloud communications platform. NewVoiceMedia provides a guarantee of 99.999% platform availability. ContactWorld for Sales integrates with Salesforce Sales Cloud® to increase the efficiency of inside sales teams. By integrating telephony with Salesforce you ensure that all calls are logged, recorded and easily tracked through integrated reporting and interactive dashboards. Click-to-dial, automated dialing and local caller ID increase the call connect rate. Inbound calls can easily be routed to the right sales rep for immediate follow up. ContactWorld for Service integrates with Salesforce Service Cloud® to help your agents answer service and support calls. Phone calls as well as emails, and social media posts can be prioritized and routed to the most qualified agent along with the caller information and case history. Interactive Voice Response can be used to offer self service options and offer calls the option of being connected to an agent. 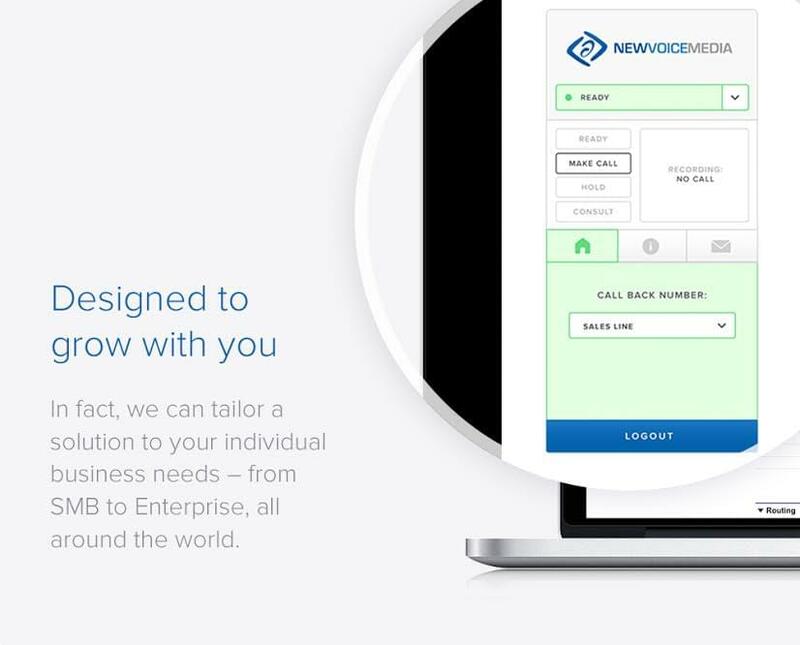 We recommend NewVoiceMedia ContactWorld to any organization that already uses or is considering Salesforce for their contact center or inside sales operation, and is also looking for a unified communications platform that offers industry-leading features at a reasonable price. Have questions about NewVoiceMedia ContactWorld? Want to find out more about VoIP solutions or call center software? Call, click, or email to speak with an unbiased Technology Advisor for a no-cost, no-obligation consultation on your unique requirements. Learn everything you need to know about NewVoiceMedia ContactWorld. Our experts will reach out to you shortly.